Thoughts: The Mariner's first few years of existence. Ruppert Jones was the All-Star for the Mariners that first year. Thoughts: Retro helmet by Fotoball in 2003. No white outline on this trident. Thoughts: Just a promotional item. Thoughts: A change from the M to the S, and hello there Griffey Jr. Dates used: 1993 to 2004? Thoughts: How can you not see A-Rod and Griffey in this helmet? I throw the question mark in the dates used because of the helmet below. Take a close look. Thoughts: Again, we've got a change of the logo occurring somewhere along the line. Compare this helmet to the one below. Dates used: 2004 to present? 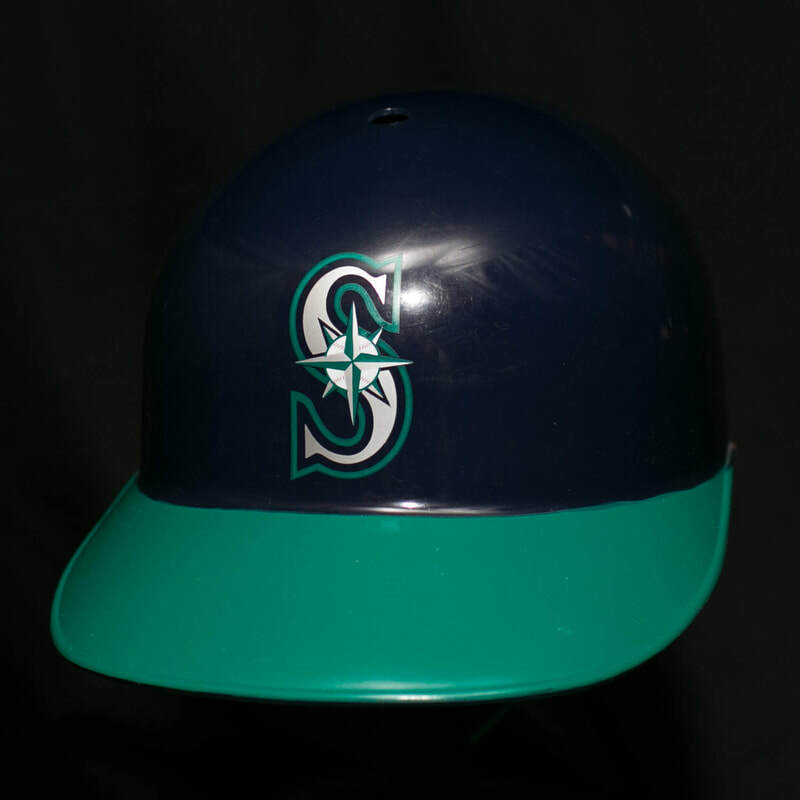 Thoughts: I need to do some research, but somewhere along the line the Mariners put a light blue outline around their helmet and got rid of the silver outline. I have seen hats like this, but not helmets. Dates used: 1993 to present. Thoughts: New company, Fotoball. Did they make the change or did the Mariners? I think they were hats like this but I can't find any helmet photos.